The result of the first edition Michelin Guide Singapore 2016 was announced on 21 July 2016. Two hawkers are awarded 1 star rating in the Michelin guide which comes as a surprise amidst the tough competition. It has brought Singapore's local food to the world. Not forgetting that the cheapest Michelin 1 Star establishment is in Singapore, as for now. 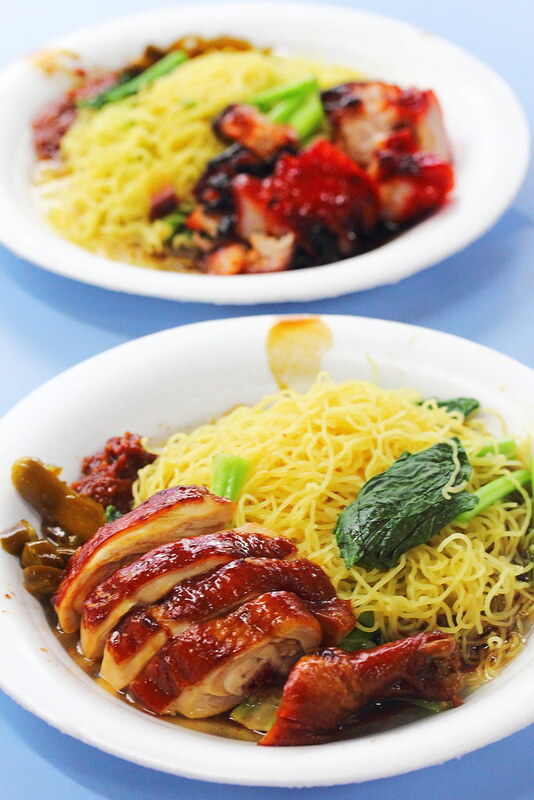 One of the two hawkers that won a Michelin star is Hong Kong Soya Sauce Chicken Rice & Noodle at Smith Street Food Centre. Actually there is one thing that I don't quite understand. 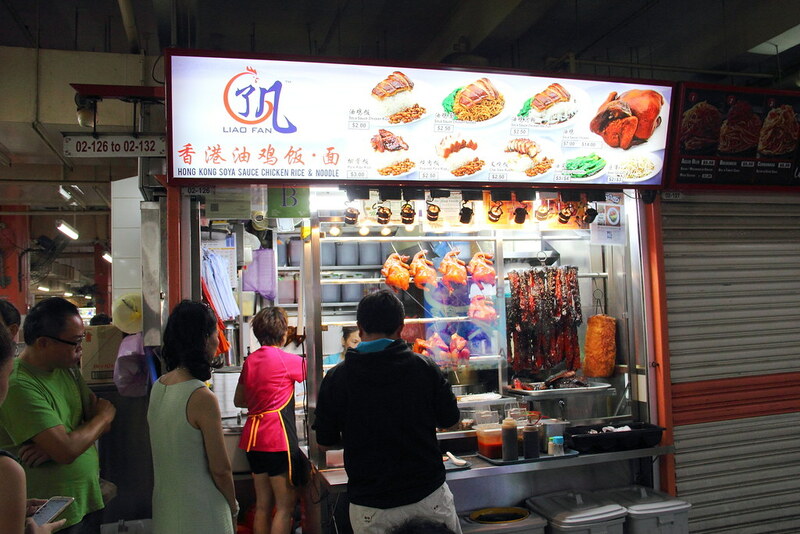 Clearly the signboard has the logo Liao Fan (了凡) written on it but everyone just conveniently called the stall, Hong Kong Soya Sauce Chicken Rice & Noodle all these years. Why so? So how cheap is our cheapest Michelin 1 Star establishment? 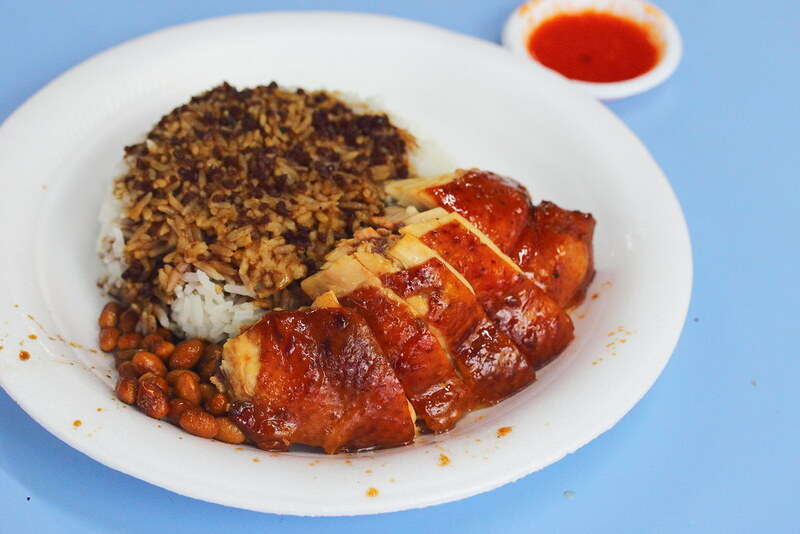 The Soya Sauce Chicken Rice is only $2! That is about US$1.47 or Euro $1.34. That is how cheap you can get for a plate of rice drizzled with a sweet and savoury sauce and chunky pieces of tender soya sauce chicken. What I like most is the chicken skin, which has that distinct soya sauce aroma infused into it. If you think the chicken is already good on its own, wait till u dip it into the tangy chilli sauce. It further elevates the whole appreciation of the juicy chicken. My own complain is the peanut was not crunchy at all. Since I was already in the queue for an hour, I might as well order a few more dishes to try. 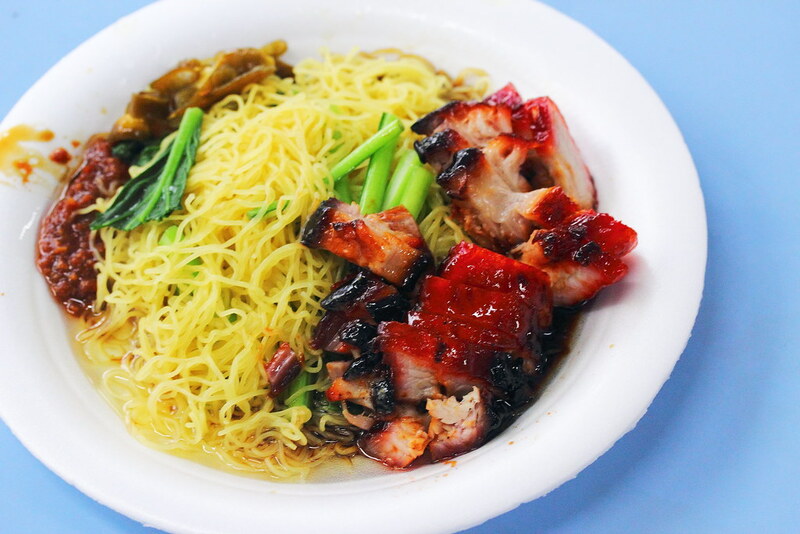 I ordered both the Soya Sauce Chicken Noodle ($2.50) and Char Siew Noodle ($2.50). The noodle is cooked to a springy bite and dressed in sauce which is on the sweet side for me. 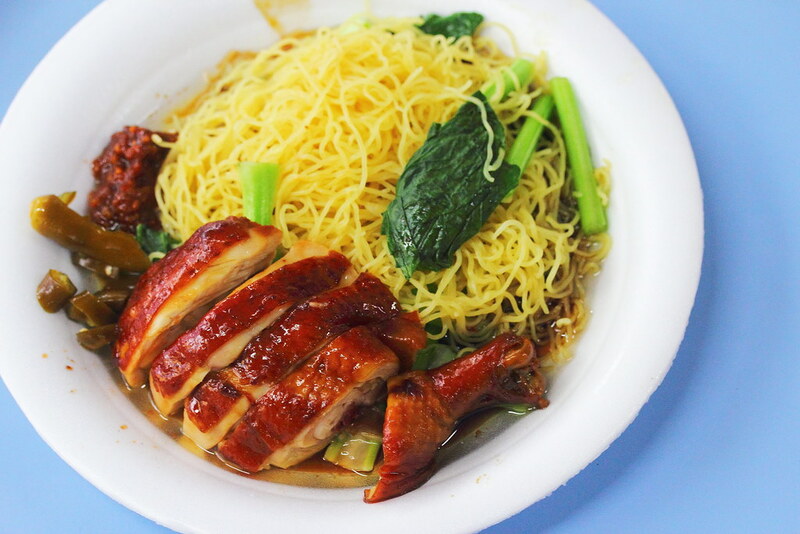 The sweetness of the sauce and the savoury chicken kind of balanced off, for an enjoyable plate of noodle. The Char Siew Noodle was good but not perfect. Unlike the soya chicken, the sweetness of the char siew and sauce when come together was a bit too sweet for me. Putting that aside, I have to say the char siew is definitely one of the best I have eaten. The caramelized sweetness, aromatic char on the exterior, the layers of lean and fat textures, simply melted my heart. I am glad that I went to queue the very next day after it was awarded Michelin 1 Star. Now I can proudly proclaim that I have eaten at a Michelin 1 star establishment. I love their chicken and char siew too!